A single built-in fatty climbing wire with a side arm lever. You can switch easily from stowed, to low (12°), to high (18°) climbing positions and back again while touring. 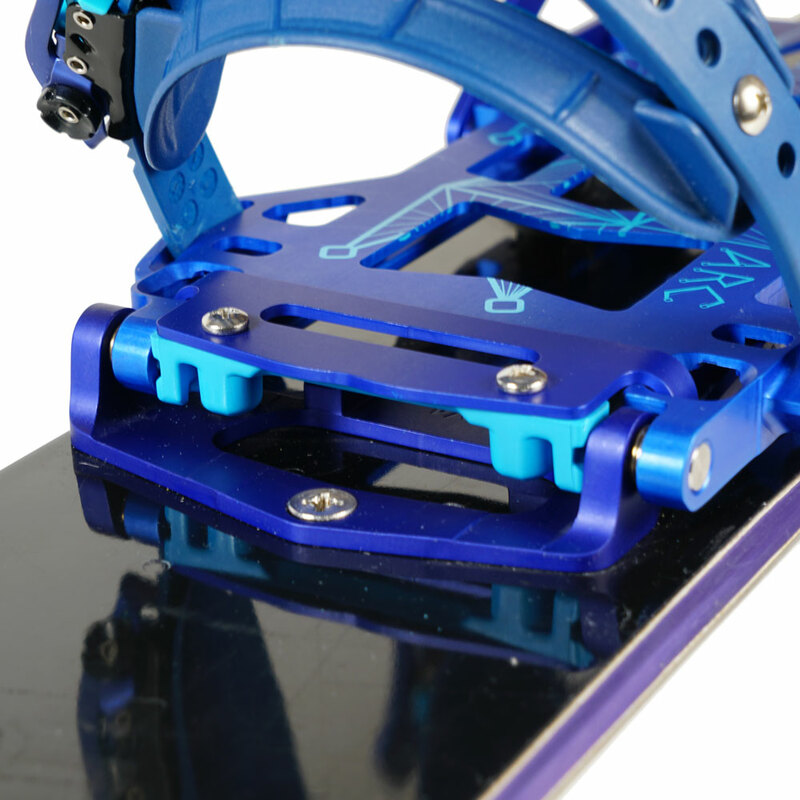 T1 bindings slide sideways into the offset touring brackets and are locked into place with the snap ramps. No pins, no cables, no fiddle factor. Lightweight. Ultradurable. Comfortable. Waterproof. One-piece molded construction. Pillows are thin & flexible for a comfortable fit, while thicker ribs are held off the boot and provide stiffness. Tool free forward lean adjuster (FLAD) offers complete customization from 0 to 22 degrees in ride mode. 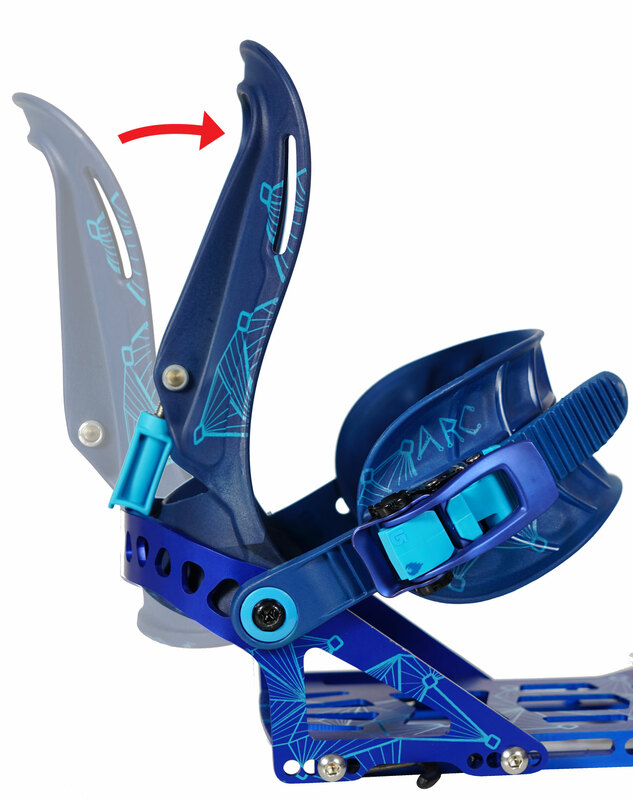 The FLAD toggles easily between forward lean position and -13 degrees touring positions for easy transitions. 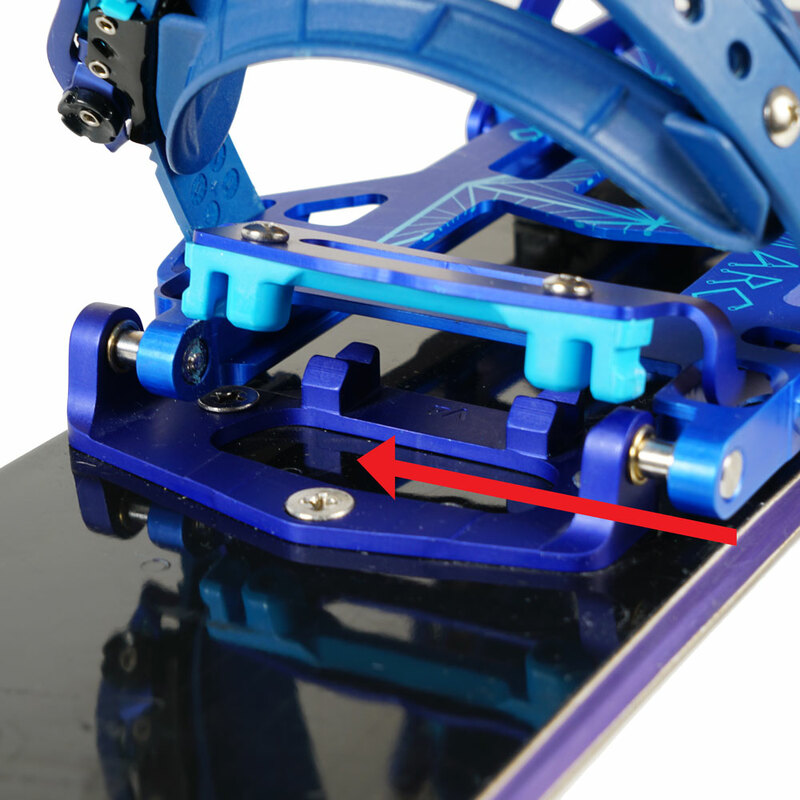 Tesla T1 bindings slide sideways into the offset touring brackets and are locked into place with the snap ramp. No pins, no cables, no fiddle factor. and are locked into place with the snap ramp. the snap ramp to lock into place for a tight ride down. 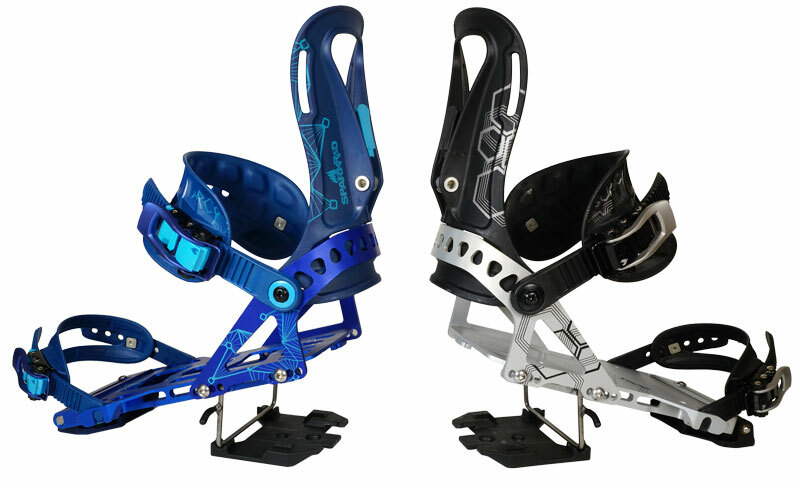 There are two distinct designs for the Arc and Surge ankle straps - the Arc with a smaller footprint and flex window for max agility, and the Surge with a wide asymmetric footprint for incredible all-around support. 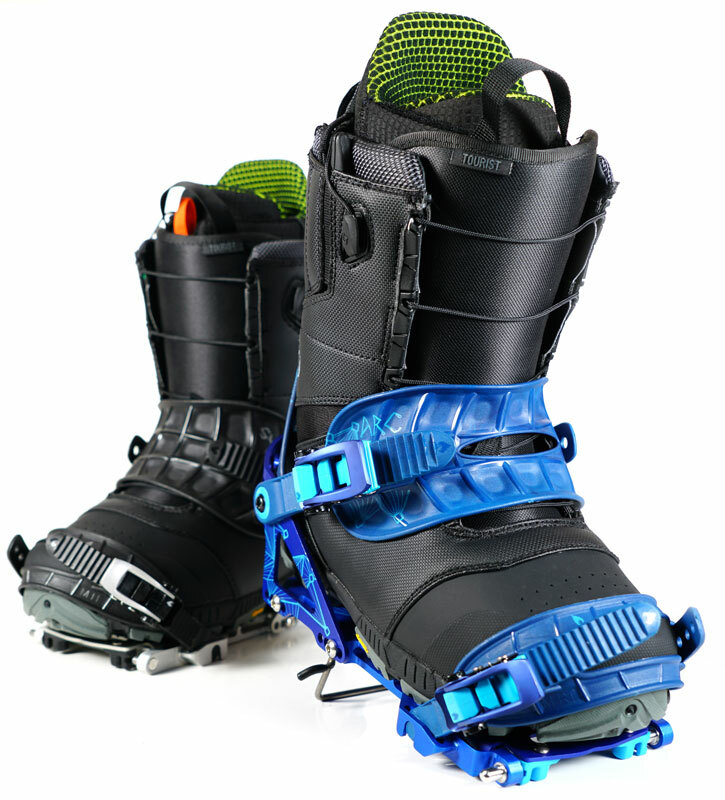 Strap pillows are thin and flexible for a comfortable, conformed fit, while thicker ribs are held off the boot and provide support for a uniquely responsive ride. 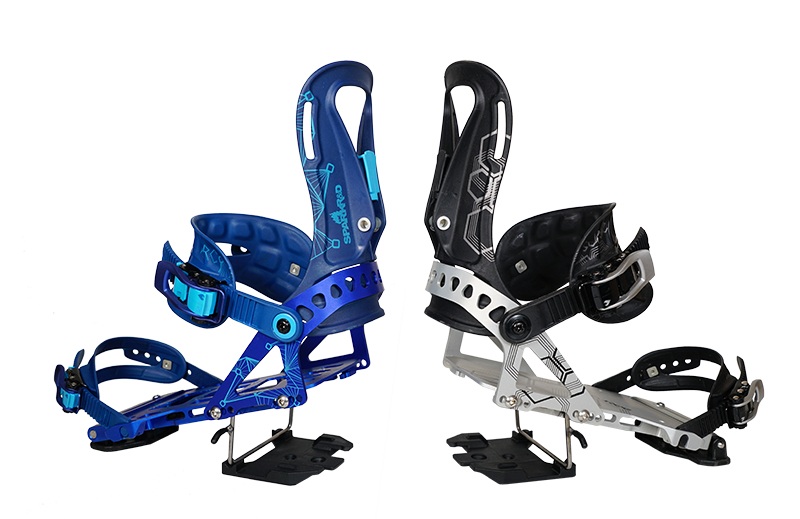 Pillow Line ankle straps weigh in at a mere 37g for the Arc and 39g for the Surge (a 46% and 53% weight savings!). Toe straps barely register on the scale at 14g. 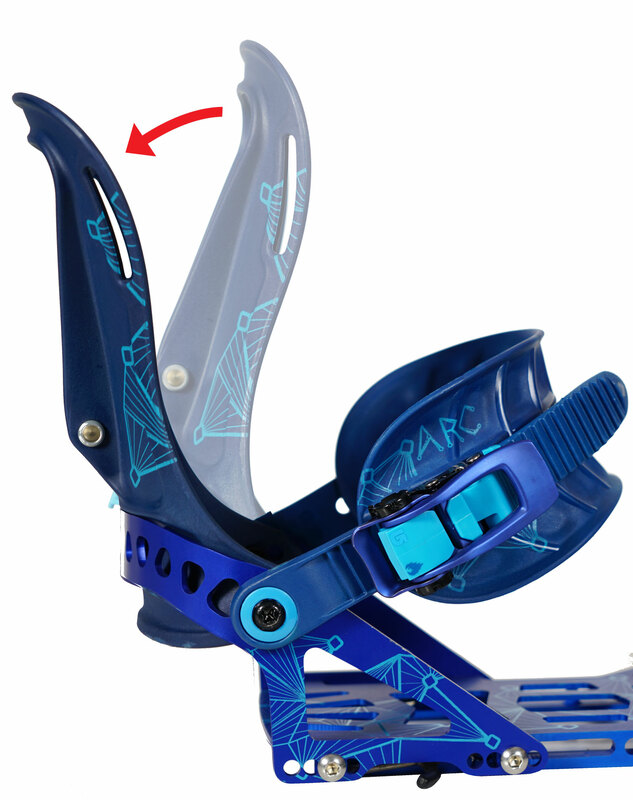 Touring is tough on straps with bindings constantly grazing past each other. 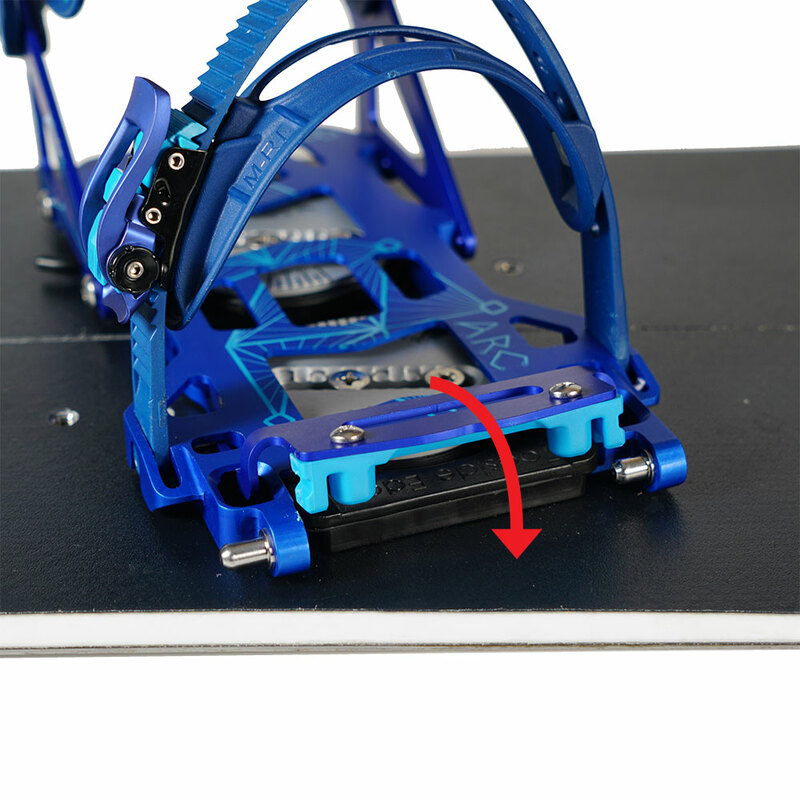 These plastic straps are incredibly durable and made to withstand the abuse. Pillow Line straps will not take on water weight in warm conditions, or freeze when temperatures drop. Snow simply doesn't stick. The Rip 'N' Flip highback gives splitboarders everything they need and nothing they don't. 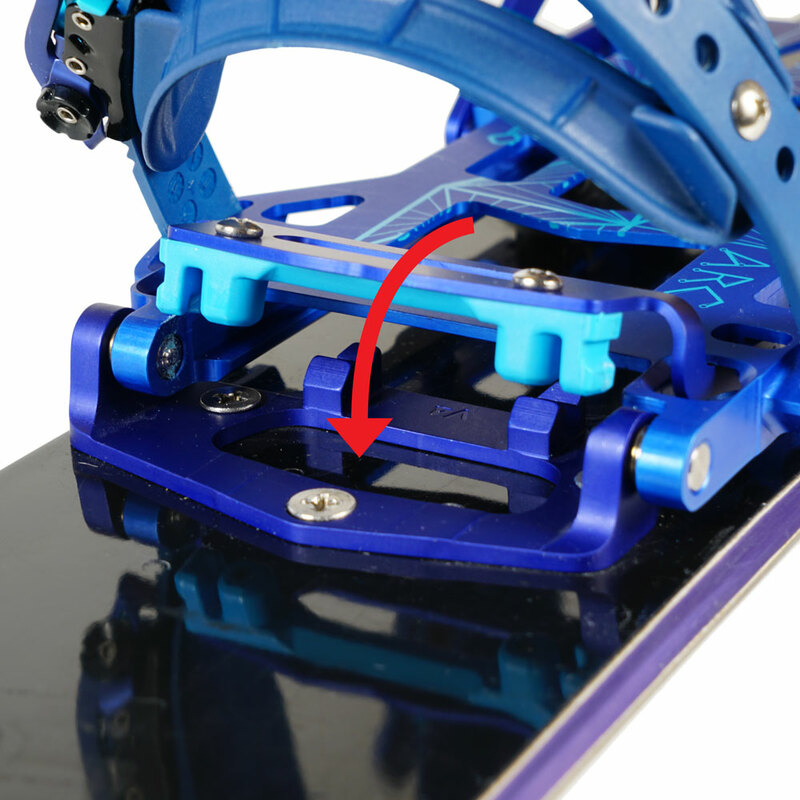 Flippin' FLAD toggles between your forward lean angle and -13 degrees touring position for easy transitions. 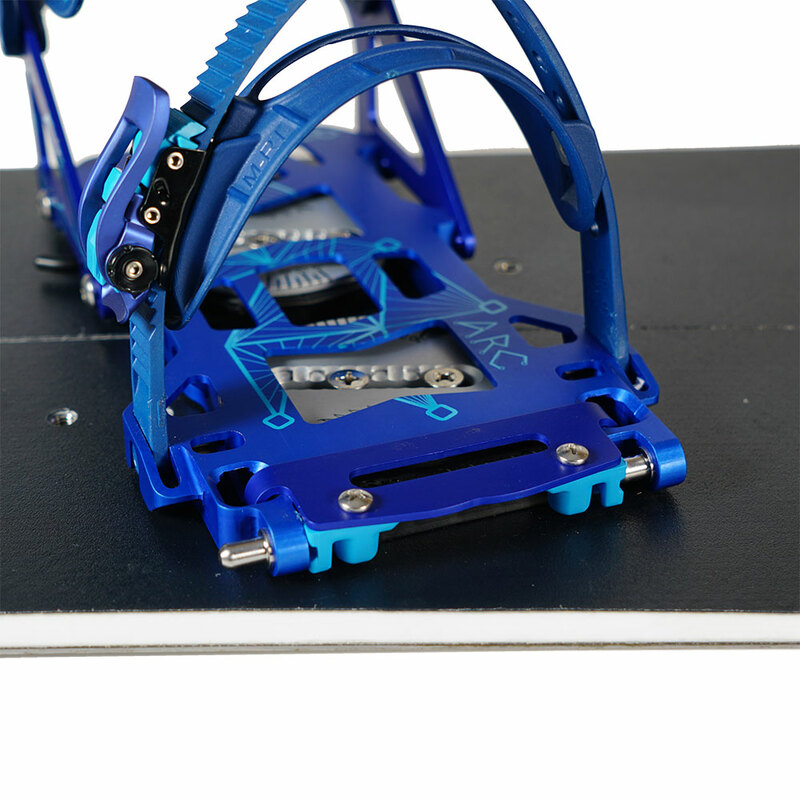 Tool free micro-adjustable from 0 to 22 degrees for complete customization of your forward lean angle. 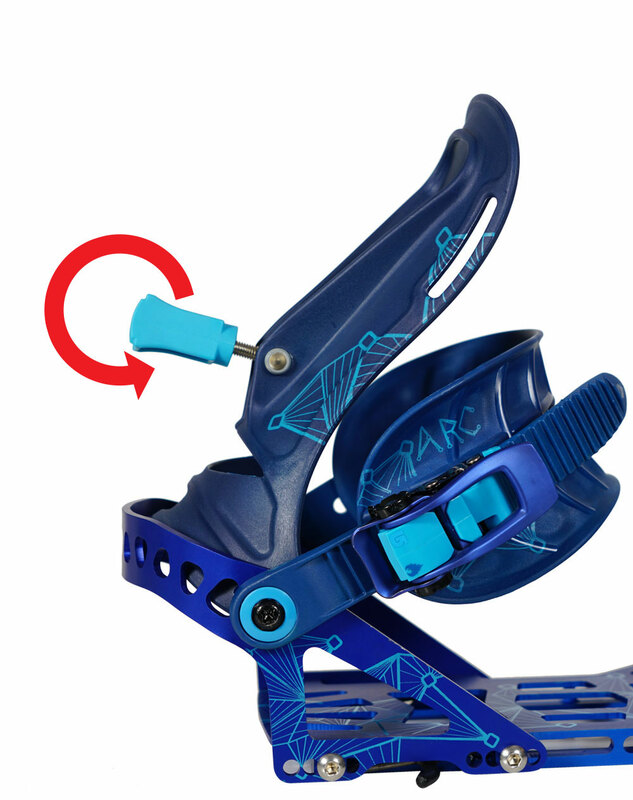 Lock into place by pushing your highback forward and rotating the forward lean adjuster into ride mode.